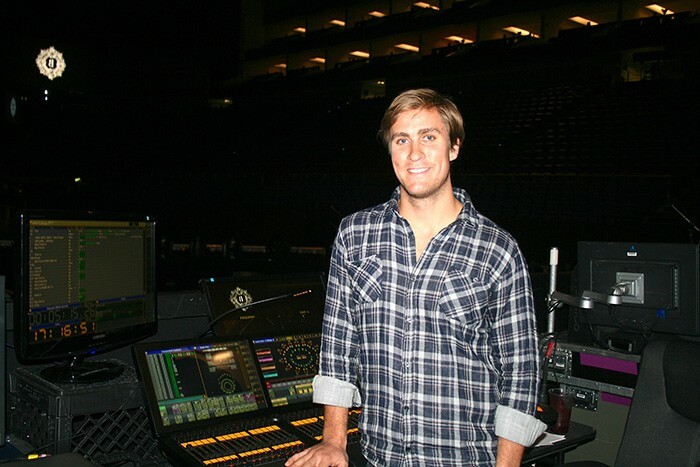 The introduction of the groundbreaking X-5 LED strobes from Peter Johansen’s SGM provided all the inspiration necessary for multi-award winning production designer, LeRoy Bennett, to specify almost 450 pieces for Beyoncé’s The Mrs. Carter Show World Tour, making it probably the brightest show ever recorded on a concert stage. When the set climaxes with her popular song Halo, the accompanying drum roll is the cue for lighting director Whitney Hoversten (pictured) to trigger every strobe in the house, completing a blinding blitzkrieg. “We throw everything plus the kitchen sink at it,” he says. Beyoncé herself had expressed a preference for a lightshow-dominated stage set this time around (rather than the current video-led paradigm) and Bennett immediately set to work creating a stunning light ladder ‘torm’, interspersed with mirrors, known by the crew as the ‘Wall of Inferno’, and fabricated by Tait Towers. This is dominated by the low-profile, lightweight X-5, which is designed to deliver the same output as conventional strobes from one fifth of the power. Housing 2,970 LEDs, power consumption of 360W with lamp life of 50,000 hours, it is contained in a slim aluminium chassis and designed into three individual cells to boost creativity. “I was impressed by the combination of power consumption, brightness and rugged design,” LeRoy explained. “But I was particularly impressed by the fact that each strobe breaks down to three individual cells, enabling me to project very low res graphics as well a bright blasts of light and strobing,” he said. Most of the strobes are arranged in a 4 x 4 block formation, with the pods mounted in custom brackets. The fact that these cellular strobes can be operated independently when fitted to these special brackets makes for a perfectly spaced pixel blinder. In addition to the power wall, the strobes are featured on the stage itself, as well as the stage risers and the header — meeting the request of the artiste herself. For Beyoncé takes a hands-on approach to production, reviewing her show tape every night, it was she who has now suggested an additional 15 X-5s be added to fill in across the centre section of the stage. The lighting inventory was provided by Illinois-based rental company, Upstaging Inc, who are LeRoy Bennett’s supplier of choice. “They have the best back-up and are always more than a 150% supportive of every project,” he says. 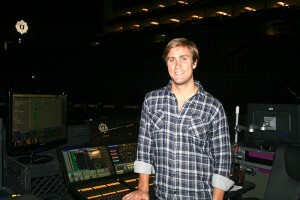 Finally, Whitney Hoversten added how impressed he had been by the support SGM had offered from production rehearsals right through to the shows themselves.